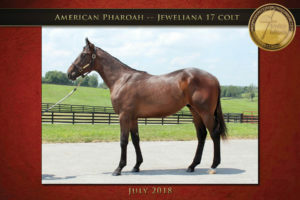 Buyers at the upcoming Fasig-Tipton Saratoga yearling sale, set for August 6 and 7, will have the opportunity to purchase 15 offspring by 2015 Triple Crown winner American Pharoah, the largest offering to date of this aspiring stallion superstar. 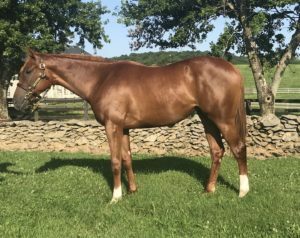 Seven colts and eight fillies from graded stakes-producing families are slated to pass through the auction ring, and some already figure to be among the highest-priced yearlings to hammer down at the sale. Hip No. 3, dk b/br, c, out of Jewliana, by Smart Strike. 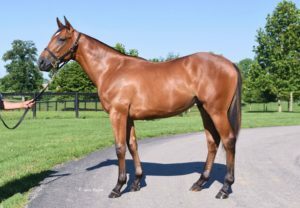 Bred by Rosedown Racing and consigned by Taylor Made Sales., who also showed American Pharoah as a yearling. This colt’s second dam is grade 2 winner Roshani (by Fantastic Light) and is from the female family of sire Data Link. Click to view this colt walking. This colt was foaled and raised at Stockplace, along with other members of his female family, including grade 1 winner AZ Warrior, (by Bernardini), and grade 2 winner JoJo Warrior (by Pioneerof the Nile). American Pharoah himself was foaled at Stockplace. To see video of this colt walking, click here. Hip No. 216, b, f, out Flattermewithroses, by Flatter. 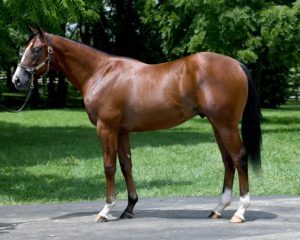 This filly is owned by Lee Pokoik, who acquired her at the Fasig-Tipton November sale for $350,000. 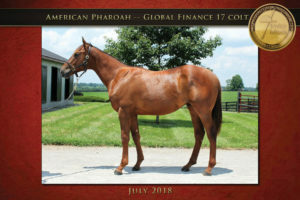 Hip 231, ch, c, out of Global Finance, by End Sweep. This handsome colt is a half-brother to group 2 winner Acapulco (byScat Daddy). Acapulco, who won the Queen Mary Stakes (GII) at Ascot in 2015) most recently won the Sole Power Spring Stakes at The Curragh in May. 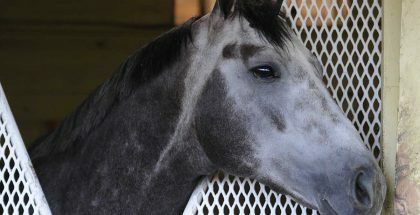 Her little half-brother is a homebred for Dr. Charles Giles, who also bred Acapulco, and is also consigned by Taylor Made. To see this colt walking, click here. 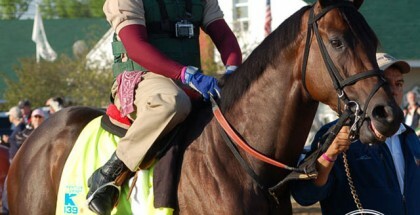 “He’s a nice colt and one we’re excited about having at Saratoga,” Conrad Bandoroff of Denali Stud, says. “(His dam) Hessonite was so successful in New York. She was a hard-knocking, ultra consistent racehorse. 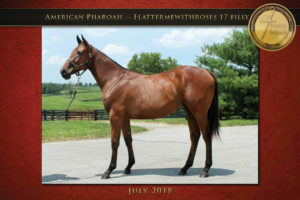 Lady and the Track will continue to cover the Fasig-Tipton sale through next week and keep you updated on sales results for all American Pharoah yearlings.